Amid all those cheap retail goods there are still plenty of things you can buy that are born in the U.S.A.
BOSTON (MainStreet) -- From Apple (AAPL - Get Report) (Stock Quote: AAPL) iPads to fruit juice, many of our purchases these days rely on parts, labor or commodities shipped in from overseas. Once perceived as "American" brands, Levis, Wrangler and Radio Flyer red wagons are now made either south of the border or overseas. Even that all-American paean to capitalism -- the Monopoly game -- has a workforce in Ireland that is churning out all those red hotels and green houses for Hasbro (Stock Quote: HAS) (HAS - Get Report) . Gerber may control nearly 80% of the country's baby food market, but since 1994 the company (owned by Nestle (NSRGY (Stock Quote: NSRGY) after a $5.5 billion purchase from Novartis (Stock Quote: NVS) (NVS - Get Report) ), has been manufacturing overseas, abandoning its longstanding roots as a Michigan company. Last month, a study conducted by global management consulting firm Booz & Co. with the University of Michigan's Tauber Institute for Global Operations, said the future of U.S. manufacturing is being decided now. "Today, U.S. manufacturers provide about 75% of the products that Americans consume," the study says. "But that number could soar to 95% within a few years if business and government leaders take the right actions. Conversely, if the sector remains neglected, that output could fall by half, meeting less than 40% of U.S. demand." The report was based on a sector-by-sector analysis of U.S. industrial competitiveness, along with a survey of 200 manufacturing executives and experts. The U.S. needs to build a better future with Mexico, shifting less-demanding, labor-intensive processes to that country while helping build a safer consumer economy there and retaining highly skilled work in the U.S.
America needs more robust manufacturing-education programs, immigration reform and to promote the attractiveness of manufacturing careers. Public and private sectors can build geographical concentrations of suppliers, service providers and academic institutions, reinforced by investments in infrastructure. The country needs also to simplify and streamline the tax and regulatory structure. The official statutory corporate tax rate stands at 39%. Closing the gap between statutory and effective rates (typically 28%) would be a revenue-neutral way to put U.S. manufacturing on a level global playing field. While government officials debate these and other proposals, consumers can take matters into their own hands by buying American-made goods. 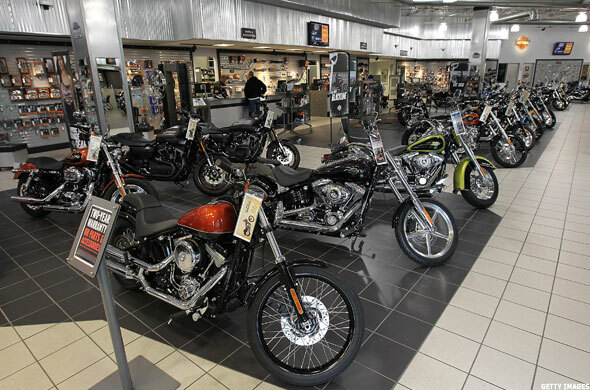 Among the many points of pride for Harley-Davidson (HOG - Get Report) (Stock Quote: HOG) owners is that the motorcycles are designed and made in the U.S. In 1901, William Harley, a young man living in Milwaukee, came up with the concept of meshing a small engine with a bicycle frame. After considerable trial and error, Harley, working with his friends Arthur and Walter Davidson, developed a prototype of what would later evolve into the modern motorcycle. In 1906, Harley and the Davidsons opened the Wisconsin factory that, to this day, serves as Harley-Davidson's corporate headquarters today. While touting its U.S. workforce, the company has battled the import market for decades. In 1952, it unsuccessfully lobbied for a 40% tax on imported motorcycles, but in the 1980s the company's complaints over Japanese imports led President Ronald Reagan to impose a five-year tariff plan. That 1983 plan raised the tariff of 4.4% all the way to 49.4% on Japanese imports with engines larger than 700 CCs, gradually decreasing, year-by-year, back down to 4.4%. In 1987, declaring itself profitable and competitive once again, Harley-Davidson made the surprising move of advocating that the tariff schedule be stopped a year early. A frequent debate among motorcycle enthusiasts has long been whether Harley-Davidson deserves the "made in the U.S.A." distinction, as various parts are imported from Japan, Germany, Italy and even Australia. Also made in the U.S. since 1998 are Victory Motorcycles, based in Spirit Lake, Iowa. It is owned by Polaris, a Minnesota company best known as a manufacturer of snowmobiles. Polaris also owns the U.S.-made Indian Motorcycle brand. 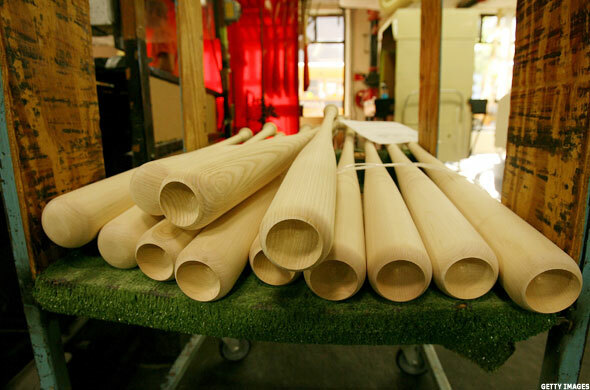 No sport embodies Americana quite like baseball, and fans should be pleased to note that the classic Louisville Slugger baseball bat -- used by approximately 60% of all Major League Baseball players -- is indeed made here in the U.S. The 120-year history of the bat starts with a 17-year-old named John A. "Bud" Hillerich, whose father owned a woodworking shop in Louisville, Ky., in the 1880s. Legend has it -- as told in the company's official history -- that in 1884, Hillerich was attending a game played by the Louisville Eclipse when its star player, mired in a hitting slump, broke his bat. The young man offered to carve a new bat for the player; after a three-hit game the next day, word of mouth spread throughout the team and orders for bats started coming in at a brisk pace. Hillerich's father, despite initial resistance, agreed to add bat making to his traditional trade of making stair railings and butter churns. In 1894, the name Louisville Slugger was registered with the U.S. Patent Office and, in the early 1900s, it pioneered a sports marketing concept by paying Hall of Fame hitter Honus Wagner to use his name on a bat. Football fans are also doing their part for the U.S. economy. Since 1941, Wilson Footballs has made the ball used in every NFL game (including all Super Bowls) and is the top manufacturer for the consumer market. Wilson also manufactures the official footballs of the NCAA. Wilson's official football is called "The Duke," a reference to the nickname of the late New York Giants owner Wellington Mara. In 1955, Wilson opened the Wilson Football factory in Ada, Ohio, described by the company as "the world's only dedicated football factory." Producing 4,000 footballs a day, the plant employs 120 people and production is done by hand. According to the company, the NFL is the only major sports league whose balls are made in the United States. The cowhides come from cattle raised in Iowa, Kansas and Nebraska, with young, lean steers preferred over fat dairy cows because the leather is more resistant to stretching. A less serious bit of sports equipment -- the Whiffle Ball -- was invented in the 1950s by a one-time semi-pro baseball player who created, and personally sold one by one, a ball to help kids throw curve balls. Today, the family business maintains the longstanding tradition that every Whiffle Ball ever made is from Shelton, Conn. 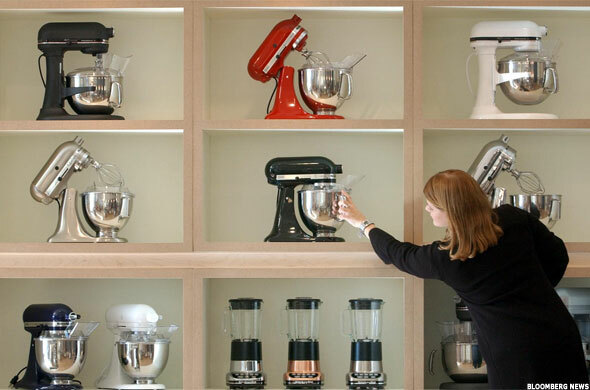 Many kitchen appliances are still being cooked up in the U.S.
KitchenAid mixers have been made in Greenville, Ohio, since 1941, at a factory employing nearly 700 people. The mixer itself predates that plant by decades. Introduced in 1919, the product greatly expanded its sales in 1955 with a variety of color options. Today the mixers -- with a distinctive silhouette that is actually trademarked -- comes in 40 colors. Building on the popularity of its iconic mixer, the company has since branched out into a wide variety of kitchen equipment, including dishwashers, cookware, ranges, refrigerators and even wine cellars, the majority of which are made in America, as are many (but not all) of the products sold by its parent company, Whirlpool (Stock Quote: WHR) (WHR - Get Report) . According to the company, Whirlpool employs more U.S. workers than any other appliance manufacturer and "the United States continues to be the company's largest market in terms of revenue, manufacturing presence and number of employees -- more than 20,000 workers nationwide." Also made in America are Viking products, a line of ovens, ranges, refrigerators, dishwashers, cookware and small appliances. The company, founded in 1989, not only has its headquarters in Greenwood, Miss. ; it also maintains four manufacturing plants, a distribution center, a cooking school and its own restaurant. (WHR - Get Report) Also built in the U.S. are the refrigeration units and freezers made by Sub-Zero. ( WHR - Get Report) Last October, GE ( GE announced it would invest $432 million to bolster U.S.-made refrigeration products with design and manufacturing centers in Louisville; Bloomington, Ind. ; Decatur, Ala.; and Selmer, Tenn. As many as 500 jobs could be added through the expansion by 2014, according to the company. ( WHR - Get Report) ( GE Also being made by GE in America are water heaters, washers and dryers and dishwashers. Nothing screams rock 'n' roll quite like an electric guitar. 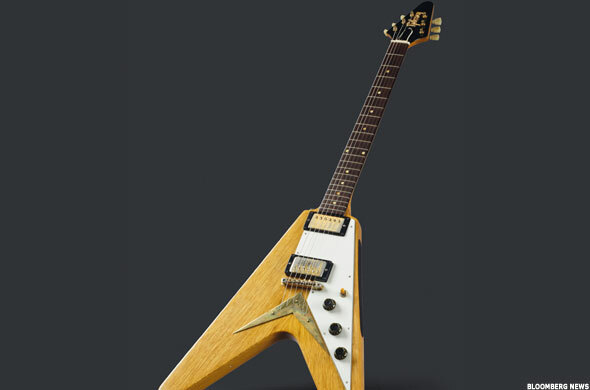 Founded in 1896 in Kalamazoo, Mich., the Gibson Guitar Co. created the first electric guitar in 1936. Known globally for its signature Les Paul edition and used by rock stars from Jimmy Page to Paul McCartney, Gibson is an ax of choice for many musicians. The original Kalamazoo plant closed in 1984 and the company relocated to Nashville, where 500 employees handcraft as many as 2,500 Les Pauls, Flying Vs, Explorers, SGs and Firebirds each week. Other models, and custom-made guitars, are also made at the Tennessee factory. Crayola Crayons were created after inventors Edwin Binney and C. Harold Smith won a gold medal at the 1900 World's Fair for their creation of a dustless chalk substitute for teachers. 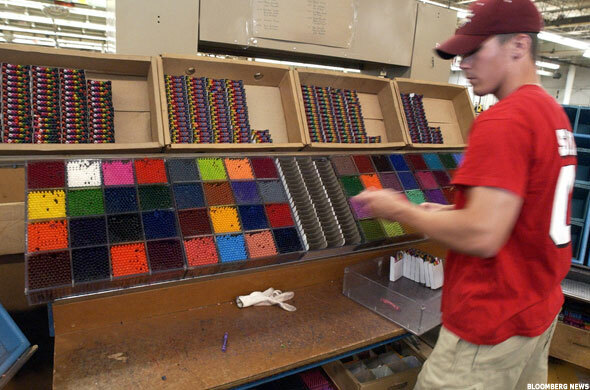 Although the company formed as Crayola does have overseas production facilities, domestic crayons are still made in Easton, Pa., a factory that has churned out more than 1 billion crayons since opening in 1969. Beyond crayons, there are still some American-made items for kids that aren't cobbled together in Chinese factories. Silly Putty was invented in the U.S. and is still made in Easton, Pa. Also made in Pennsylvania, in the jolly-sounding town of Hollidaysburg, is the Slinky. True to its name, Vermont Teddy Bear does indeed stitch together furry friends in Burlington, Vt.
Steinway (LVB (Stock Quote: LVB) pianos, considered by many musicians to be the world's finest, have been handcrafted in New York since 1853. ( WHR - Get Report) ( GE ( LVB The company traces its roots to 1836, when German cabinet Heinrich Engelhard Steinweg built his first piano in this kitchen. Within just 10 years, he would build 482 more pianos. 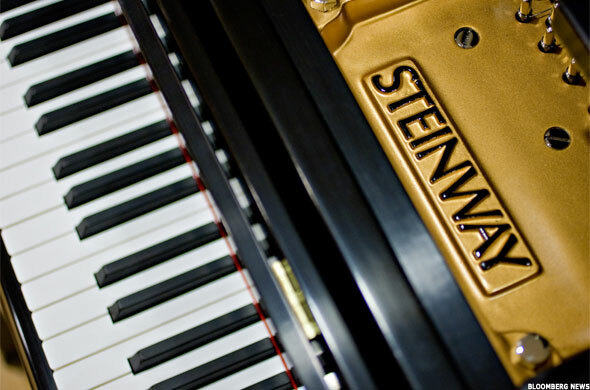 In 1850, Steinweg and his family emigrated to the U.S. and in 1853, after changing the family name to Steinway, he and his family founded Steinway & Sons in a Manhattan loft on Varick Street. The company has remained in the city ever since. ( WHR - Get Report) ( GE ( LVB By 2000, Steinway had sold 550,000 pianos. In addition to its U.S.-made grand pianos, the company has the less expensive Boston and Essex brand pianos, which are made overseas. The Great Recession and high unemployment have even worked their way into the messages offered on greeting cards. In 2009, Hallmark introduced a line of greeting cards meant to express sympathy and support for those who have lost their job. 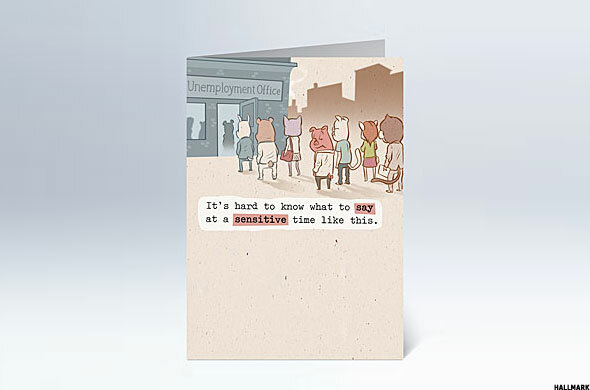 A grumpy-looking cat is pictured on one such card with the prose: "Heard about your job. Is there anywhere I could hack up a hairball, like, say, on a former employer's head? Just wonderin' ..."
Another has a less humorous take: "Losing your job does not define you. What you do about it does. As you face what lies ahead, your strength will come from the determined and passionate person you are ... the person I already know you to be." Given the audience, Hallmark stresses that all the cards are made in the U.S. The $4.1 billion company sells its products in 100 countries and more than 40,000 stores in the U.S. Headquartered in Kansas City, Mo., Hallmark has manufacturing and distribution facilities in Missouri, Kansas, Connecticut, Georgia, Texas and Illinois. Among its subsidiaries is the previously mentioned Crayola. The rest of the world may have a lead in high-tech products, but Americans can always stick to their guns. 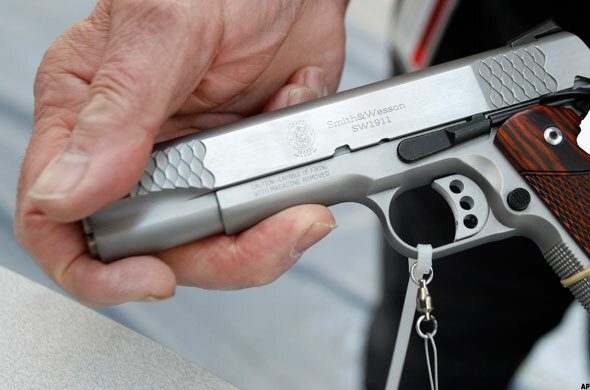 Based in Massachusetts, with additional facilities in Maine and Tennessee, Smith & Wesson (SWHC (Stock Quote: SWHC) is the largest maker of handguns in the U.S. Founders Horace Smith and Daniel B. Wesson entered the firearm market by making a lever-action pistol that was sold by their Volcanic Repeating Arms Co. In 1856, after financial difficulties led them to lose ownership of the company, they struck out on their own with a new, cartridge-based model. The timing of the company proved fortunate. The Civil War proved a boon for business. By 1867 the revolvers were being sold internationally, their image bolstered from use by legendary lawman Wyatt Earp and the U.S. Army. More recently, its Magnum gained silver screen notoriety as the weapon of choice for Clint Eastwood's shoot-first-ask-questions-later Dirty Harry. In a role reversal, a surprisingly successful export from the U.S. has been selling chopsticks to China. 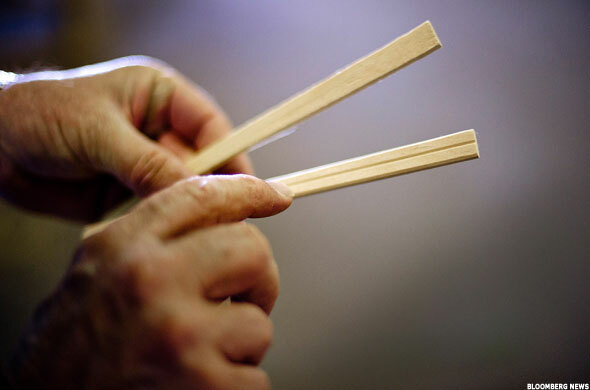 ( SWHC Georgia Chopsticks, based in Americus, Ga., is the only U.S.-based maker of the ancient wooden utensils. ( SWHC Because of a timber shortage among the trees used for chopsticks, many of the 2 million sets made each day in Georgia using native poplar and sweet gum trees are shipped overseas. ( SWHC In response to its recent success, the company plans to boost its production capability to as many as 10 million pairs a day over the next year. ( SWHC Even with that increase, demand could be massively larger if the Chinese wood shortage persists. Each year, Chinese manufacturers carve out some 63 billion chopsticks a year; Japan, another potential marketplace, uses about 23 billion. Given the global marketplace, it is hard to pin a specific "nationality" on the majority of cars. Almost every vehicle on the road is a multinational mutt of parts and labor. Each year, Cars.com releases its "American-Made Index," a rundown of vehicles made with U.S. labor and at least 75% domestic parts. Its ranking, released this past summer, included: Toyota (TM - Get Report) (Stock Quote: TM) Camry (80% domestic parts, assembled in Kentucky and Indiana); Honda (HMC - Get Report) (Stock Quote: HMC) Accord (80% parts, assembled in Ohio and Alabama); Chevrolet (GM - Get Report) (Stock Quote: GM) Malibu (75% parts, assembled in Kansas); Ford (F - Get Report) (Stock Quote: F) Explorer (85% parts, assembled in Chicago); Honda Odyssey (75% parts, assembled in Alabama); Toyota Sienna (75% parts, assembled in Indiana); Jeep Wrangler (78% for two-door, 79% for four-door, assembled in Ohio); Chevrolet Traverse (75% parts, assembled in Michigan); Toyota Tundra (80% parts, assembled in Texas); and the GMC Acadia (assembled in Lansing, Mich. using 75% domestic parts). ( SWHC ( TM - Get Report) ( HMC - Get Report) ( GM - Get Report) ( F - Get Report) Also made in America is the high-end Tesla ( TSLA - Get Report) (Stock Quote: TSLA) Roadster, a $110,000-plus sportscar by a Palo Alto, Calif., company. 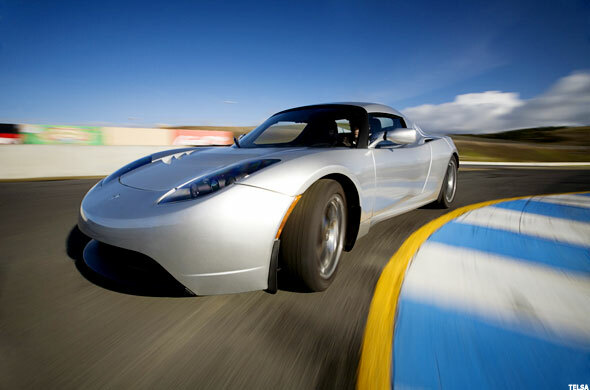 ( SWHC ( TM - Get Report) ( HMC - Get Report) ( GM - Get Report) ( F - Get Report) ( TSLA - Get Report) The electric sports car, although assembled in Menlo Park, Calif., uses a body imported from the U.K. Its forthcoming S Series sedan, which will sell for more than $57,000 will be built entirely in the U.S. -- a good thing, given that Tesla was the recipient of a low-interest, $465 million loan from the U.S. Department of Energy to aid development of the car.